Ha! I could go many directions with this! Actually, there were huge changes in the front office. Ron Francis took over as General Manager in place of Jim Rutherford, who stepped down, only to be hired by the Penguins shortly afterward. The first thing Francis did as GM was fire coach Kirk Muller and his assistants. After a long search, he decided to hire Bill Peters, a Mike Babcock protege and assistant for the Red Wings. They also brought in Don Waddell and Mike Vellucci to help Francis. I kind of expected that after three losing seasons, Muller would be gone, but I was surprised that Francis hired Peters. Word on the street was that he wanted to hire his long-time friend, Ulf Samuelsson and it certainly looked to be the case for a long while because the team waited until after the Rangers were done in the playoffs to make a final decision on the hiring. (Samuelsson is an assistant for the Rangers.) But Francis put his friendship aside and hired who seems to be, the better candidate. Kudos to him, but it was a bit surprising. 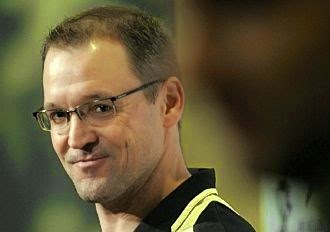 I would have looked hard and long at Dan Bylsma. You do not have a .670 lifetime winning percentage in the NHL on Sidney Crosby's back alone. But having said that, I am very happy with the Peters hire and I am extremely impressed by him so far. Some of the contracts handed out this summer were ridiculous, as usual. Is Brooks Orpik worth $5.5 million a year for five years? Not in my NHL! But having said that, the Canes might be a little light on the defensive side of things and could always use another scorer. The Christian Ehrhoff signing was a good one. Would he have come to Carolina for a bit more money? Probably not. I would have also tried to sign a player like Mason Raymond or Matt Moulson, to help with the scoring load. I will say Elias Lindholm. Last year's rookie started off injuring his shoulder at the beginning of the season and it took him awhile to get used to the NHL game. But by the end of the season, he was showing some great moves and had good chemistry playing with Jeff Skinner. If those two stay together this coming season and play like they did at the end of last year, they could be a dynamic duo and surprise the league. There are a few to choose from here and it is tough to call at this point. You can't really call Zach Boychuk or Chris Terry rookies, but either of these AHL pros have a decent shot to make the team. From the Juniors, I think Brock McGinn has a good chance and Patrick Brown (from Boston College) plays a solid all around game. He could surprise. Phillip Di Giuseppe from Michigan also has a shot. Chemistry! The top four highly compensated on this team, (Eric Staal, Jordan Staal, Alexander Semin, Jeff Skinner), have the stats to play with anyone, but for whatever reason, they could not mesh well together last year. Even putting Eric and Jordan Staal together didn't really work out, as you might expect. Somehow, coach Peters has to find the right line combinations and these guys have to learn to be in synch with each other. 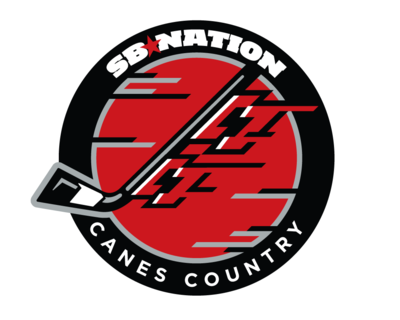 Well, worst case scenario, if the Canes fail as badly as most around the league predict they will, they will be looking to dump contracts at trade deadline day. 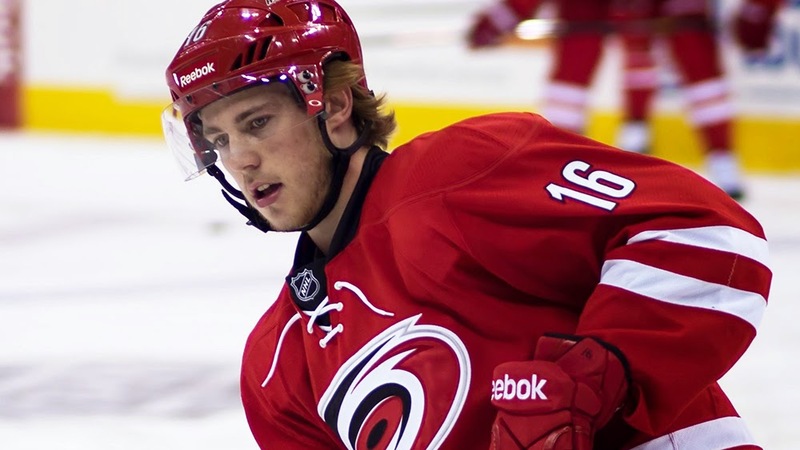 Look for Eric Staal, Cam Ward, Alex Semin, and maybe even Andrej Sekera to be trade bait. Best case scenario, if the team is fighting for a playoff spot, (most likely), they will probably stand pat, as they normally do. What would I do? If Nashville is not in the playoff picture, try to acquire Matt Cullen or Mike Fisher from the Preds or look around for other players like that who do not cost a fortune and have a short term contract, but can help your team. I think the team will do better than predicted and will be fighting for a playoff spot in April. Will they make it? I would not bet the farm on it.